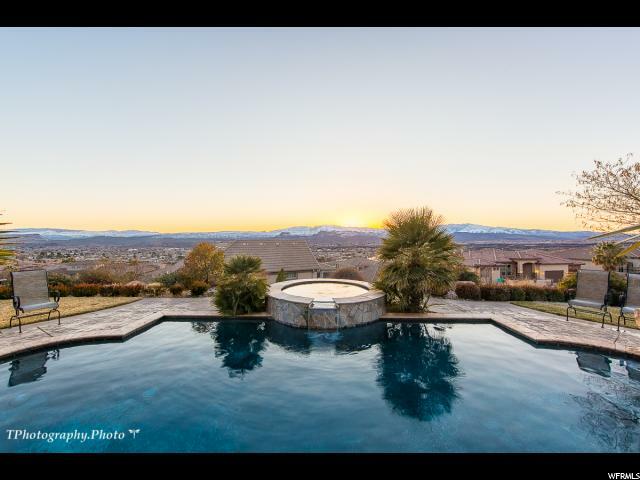 All CASTLE ROCK homes currently listed for sale in St. George as of 04/19/2019 are shown below. You can change the search criteria at any time by pressing the 'Change Search' button below. 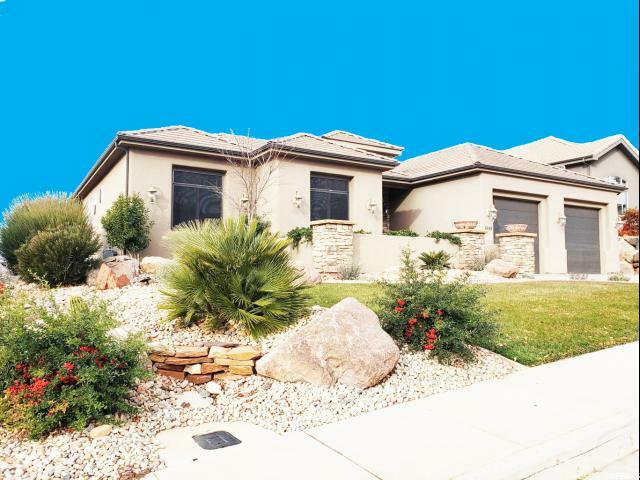 "Beautiful Executive Home in exciting Castle Rock Subdivision Offering extensive Mtn. and Valley Views with exceptional attention to craftsmanship and detail. Enjoy an open and spacious floor plan or sit poolside and relax. This home won't last! Show to your fussiest buyers." "This Stunning MOVE-IN READY TREASURE in the Highly Sought-After Castle Rock Community includes a CORNER LOT, PRISTINE PRIVATE POOL w/ PRIVACY & SPECTACULAR VIEWS. This EUROPEAN COTTAGE STYLE Home includes 5 Bedrooms, full basement w/ separate entrance, PRIVATE THEATER, large BONUS ROOM & storage room in basement. The MAIN FLOOR plan has large stone fireplace, vaulted ceilings w/ beams, Gorgeous Kitchen w/ QUALITY CABINETS & QUARTZ Counter tops, LARGE ISLAND & all stainless steel Appliances. The LARGE MASTER suite has a large WALK-IN CLOSET and Master Bath includes DUAL VANITY, separate walk-in Shower & jet tub. The PROFESSIONALLY LANDSCAPED yard is perfect for entertaining guests with the PRISTINE POOL and Spa. This is one of those homes that you don't want to miss! "